Landing in Dublin. Our flight from Bristol to Dublin was the first time I have ever been on a tarmac at an airport. Picture: Erin Chapman. 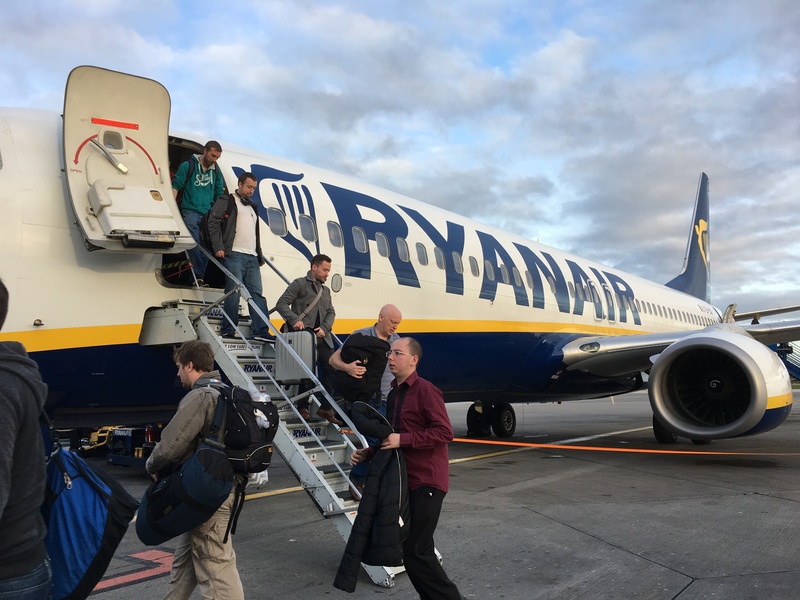 My significant other and I caught a flight from Vancouver International Airport to London Gatwick Airport on October 14, 2016. We were going visit family in England and while there, pop over to Dublin, Ireland for the Fourth World Dracula Congress held between October 20–21. Two other family members came with us for the three day jaunt to Dublin. Due to a long drive to Bristol Airport, we had to get up at 2 a.m. on October 19. Being the only Canadian in our group, I had to go in a separate line-up through customs when we landed in Dublin. In fact, I was the only non-EU resident on the whole flight, which made my wait quite short. The security officer wasn’t that friendly and for some reason demanded to see my return flight from England to Canada and nothing else. Good thing I had a digital copy of the ticket in my phone. Our first order of business was to locate the airport-express bus to get downtown and find our hotel. Normally when I don’t know where I’m going, I ask for directions instead of wasting time. I asked an airport employee in front of the entrance where to catch the “Air Coach.” He laughed at me, pointed about a hundred feet to his left and said, “Over there where it says ‘Air Coach. '” Yes, I felt a little stupid. In my defense, there were other buses and stops lining the sidewalks. It cost €7 a person for the one-way trip downtown and took about forty minutes with light traffic. We got off the bus less than a block from our hotel. We couldn’t check in until 2 p.m. so we had time to kill. Pizza for breakfast. Normally I would have opted for an egg bagel or something, but due to a recently discovered egg allergy I gave the pizza a try at O’Briens Westmoreland Street, Dublin. Picture: Erin Chapman. 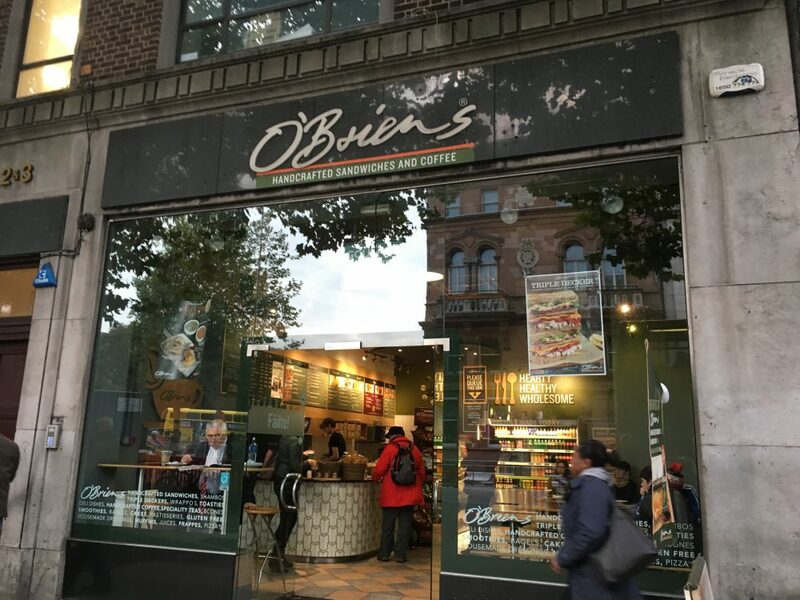 We stopped in a little sandwich place called O’Briens, where I grabbed a couple of pizza slices for €6 before we explored the city a bit. Up the street we noticed a Halloween decorated sandwich board advertising a wax museum called National Wax Museum Plus. After enjoying the one we visited in Texas in 2015, we figured we would give it a go. It was €15 for entry and definitely not worth the price. I found everything very rundown-looking. National Wax Museum Plus. Based on the size of the building I assumed a better selection than I found. Picture: Erin Chapman. It was nowhere near the quality of the wax exhibits at the Ripley’s Believe It or Not! museum we visited in Grand Prairie, TX. Although this museum was six stories, not all floors were filled with wax exhibits, which I found deceiving. There were a lot of historical exhibits and not having much interest in Irish history, I found this entire section pretty boring. We finally came across some Halloween-themed figures on the third floor where I found a familiar face staring out at me from inside a coffin. Drac in the Box. 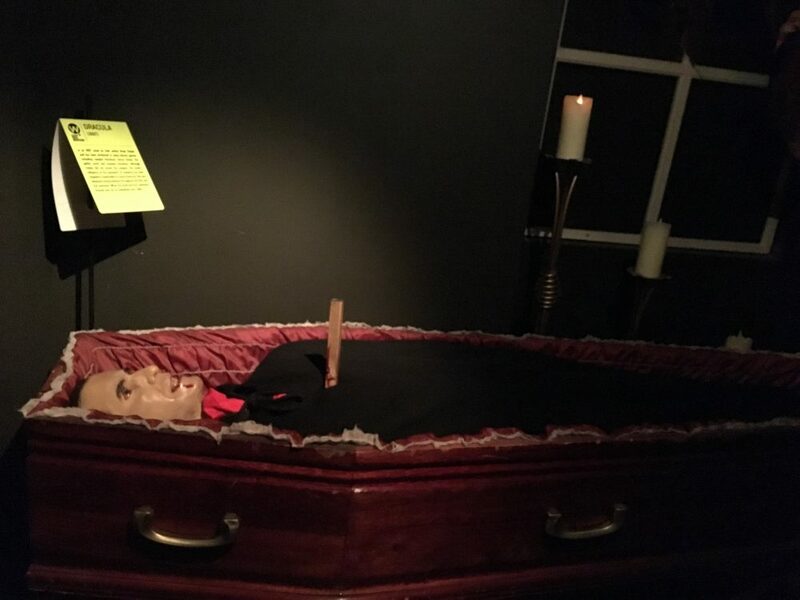 Dracula in all his wax glory, accompanied by a stake, at National Wax Museum Plus, Dublin. Picture: Erin Chapman. In total, I think we only spent about a half hour there, which again to me wasn’t worth the price. But we stopped in the gift shop on our way out and I picked up a great souvenir. A vampire bonus. 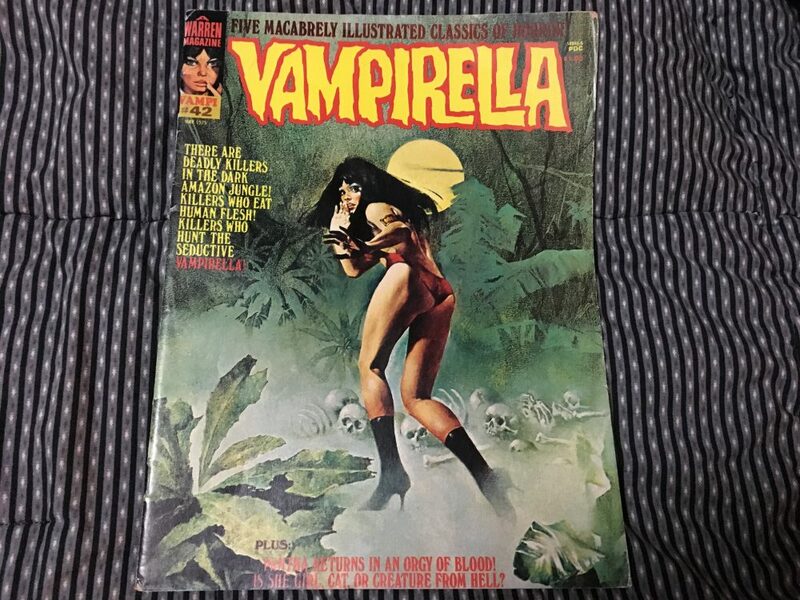 While in the gift shop, my partner’s father saw this vampire comic sticking out of a bundle of second hand books for sale priced at only €1. Picture: Erin Chapman. This was the first comic book I have ever purchased in my life. Turns out my little investment was well worth the price. I showed it to J. Gordon Melton (who prefers to be called Gordon) at the congress and he confirmed it was a first edition and worth $40–50. Score! We left the museum to find our hotel. We still had a couple of hours till check in, but we were all exhausted from being up so early and just wanted to sit and relax. We went to the sports bar beside the hotel called Buskers Bar for some drinks. Buskers Bar. Besides some different drink selections, this bar felt pretty close to what you would get back home in Canada. Picture: Erin Chapman. It was just after lunch and the bar was empty. The guys ordered some beers and I opted for an orange Fanta. I was tired enough without adding booze to the equation in mid afternoon. Again we noticed the prices in Dublin were expensive, even compared to the UK. Each Heineken was €7. We took advantage of the WiFi and chilled out until we could check in. Temple Bar Hotel. Apparently, our hotel was in the entertainment district and the streets were lined with pubs and shops. I was told during the weekends, this area is flooded with people. Picture: Erin Chapman. The hotel I booked, Temple Bar Hotel, was really nice. I managed to get us all a deal on the place by booking on Hotels.com, my preferred travel booking site. The regular price for the rooms were CAD$450 a night. I got two nights for $360. We received a free room upgrade and got one that was for handicapped people with a walk-in shower. Having the entire bathroom, the shower floor ended up being a little awkward, but we made do. The strangest part about the room was you had to put the room key-card into a slot to turn the power on for the room. We had never seen a room like this in our travels and at first I called down to the front desk asking for help because we couldn’t figure it out. I had made plans to meet my friend for dinner later that night. I was pretty excited to see her as she moved to Dublin from Vancouver three years ago. We had a couple of hours till she was done work and briefly thought about exploring the city more, but ended up taking a well needed nap till we met her at Buskers later that night. By then the bar was in full swing and had live Irish music all night. I didn’t expect it, but she brought me a vampire treat. Collectible from Bran Castle. 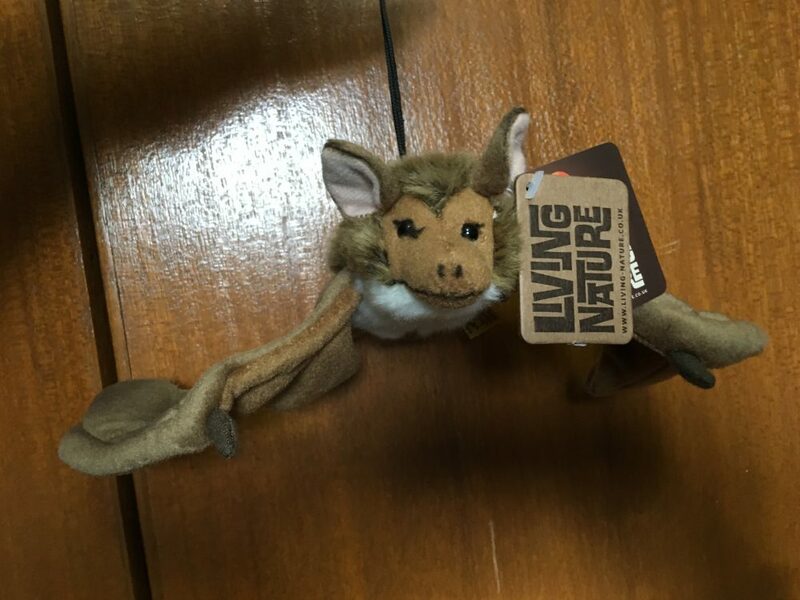 My friend picked up this cute little guy for me from a bartering Gypsy outside the castle in Transylvania. Picture: Erin Chapman. We hung out for a few hours. I enjoyed two fruity daiquiris, shared some hot wings and for dinner had vegetarian meal. My limit is two drinks because as Anthony, Vamped‘s editor says, I am a “two-pot screamer,” which is true. We had a great time catching up. Vegetarian delight. 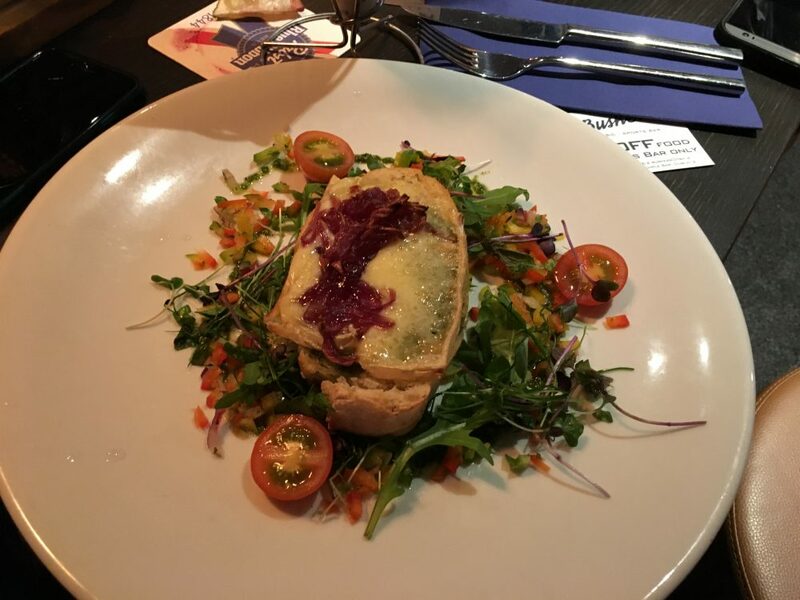 I opted for this tasty combination of warm goat’s cheese and baguette topped beetroot at Buskers Bar. Picture: Erin Chapman. Later in the evening, I received a text from Niels K. Petersen, a researcher and speaker at the congress. I had only spoken to him a few times through Facebook at this point. He said he had checked in at his hotel, which as it turned out, was across the street from ours. I invited him to pop over for a beer and he accepted. Vampire researcher extraordinaire. While we were hanging out having a drink, I texted Anthony this photo. He is a major fan of Niels’ work and I knew he would appreciate it. Picture: Erin Chapman. 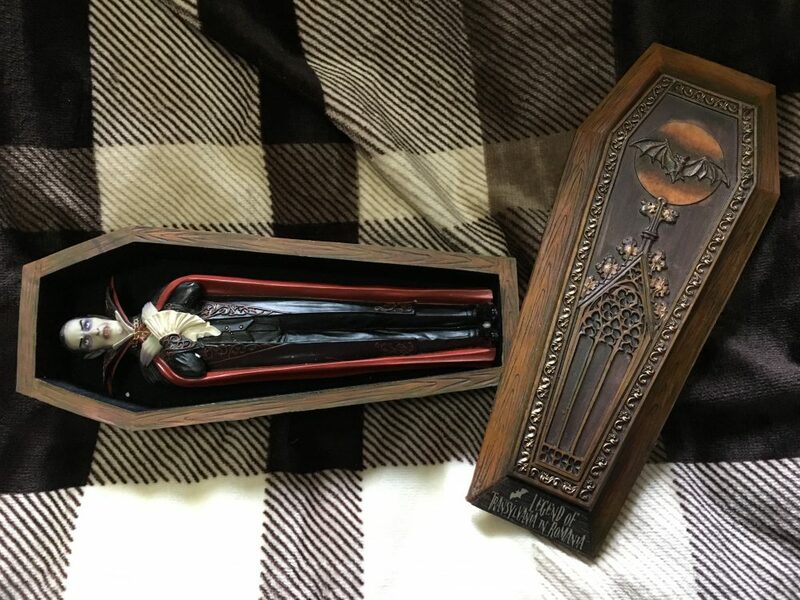 More vampire gifts. I don’t know where Niels picked this up, but it was a lovely thing to receive before a Dracula congress. Picture: Erin Chapman. Before parting ways, Niels and I agreed to walk to the congress together in the morning and meet outside my hotel. Congress organizers. I had the pleasure of meeting the congress organizers in person before everything got started. 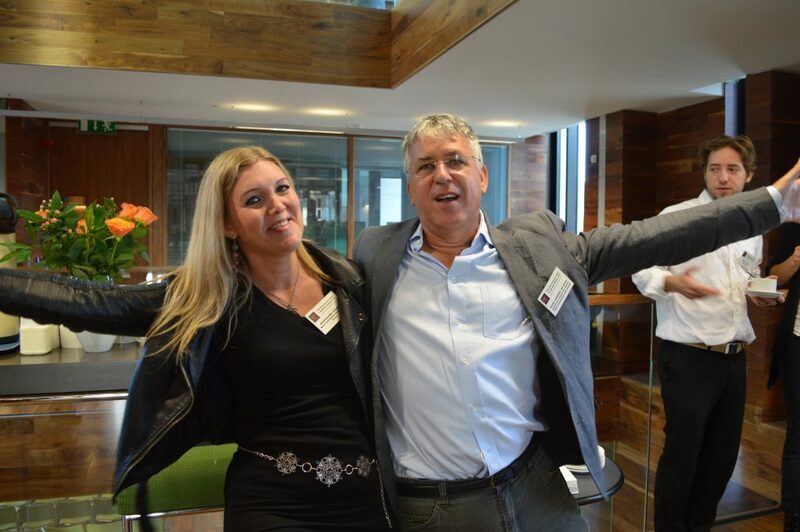 (L–R) Magdalena Grabias and Hans de Roos. Picture: Erin Chapman. The first day of the Fourth World Dracula congress was the next day on October 20. The presentations and festivities ran from 9:30 a.m. till about 5:30 p.m. I had a great time and met tons of new people from all academic backgrounds. For coverage of the event, you can read about it here. I met up with my family members at 6 p.m. out front of Trinity College. I brought Gordon and Niels with me as we arranged to go for dinner together. Gordon was in the mood for some Irish cottage pie so we set out on a mission to find a pub that had some. We ended up at a rather loud place called the Blarney Inn. Dinner with scholars. The food at the pub was quite good, but the service was something to be desired. That’s Gordon and Niels are talking behind me. Picture: Erin Chapman. After dinner we walked back to the hotel, and got some sleep. I had another long day ahead of me tomorrow for day two of the congress. Freshly Chopped. This place was delicious and I would recommend it to anyone. Picture: Erin Chapman. On October 21, I left the hotel and stopped to pick up something for lunch so I had more exploration time during the lunch break. I picked a cafe called Freshly Chopped. They had an extensive menu and I had a hard time choosing something. I chose a Greek chicken wrap. Unfortunately, I had a trainee make it and took her almost ten minutes. Her co-worker really had no interest in helping her and the lineup grew as I waited for my food. Niels and I were going to meet up again to walk over to Trinity College together. 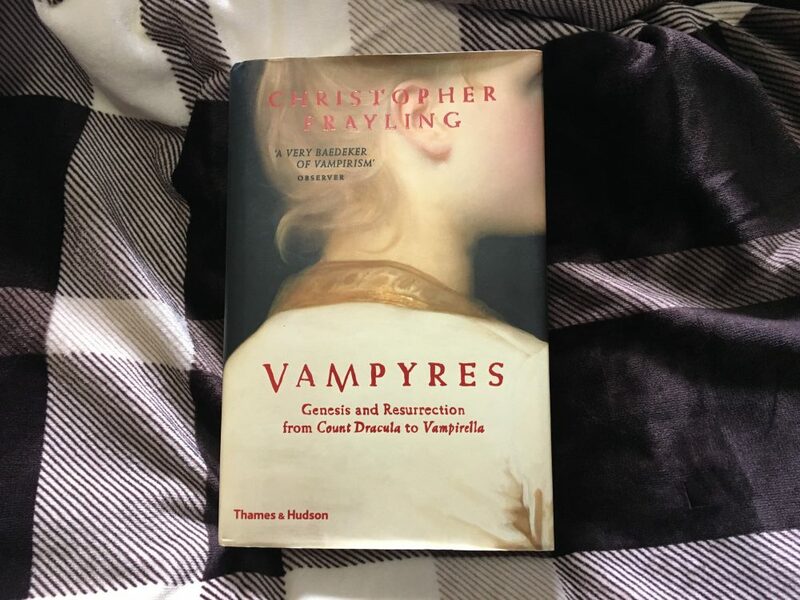 He found me out front of the cafe and was armed with another present for me—Christopher Frayling’s Vampyres: Genesis and Resurrection from Count Dracula to Vampirella (2016). The second gift in two days; I was a lucky girl! Vampyres. Niels explained that he got up super early and found this little gem in a book store up the street. He picked himself up a copy and said it was a must for my collection. Picture: Erin Chapman. During the lunch break, Niels, Gordon and I went on a little field trip. Gordon wanted to visit a bookshop he stumbled upon the night before. 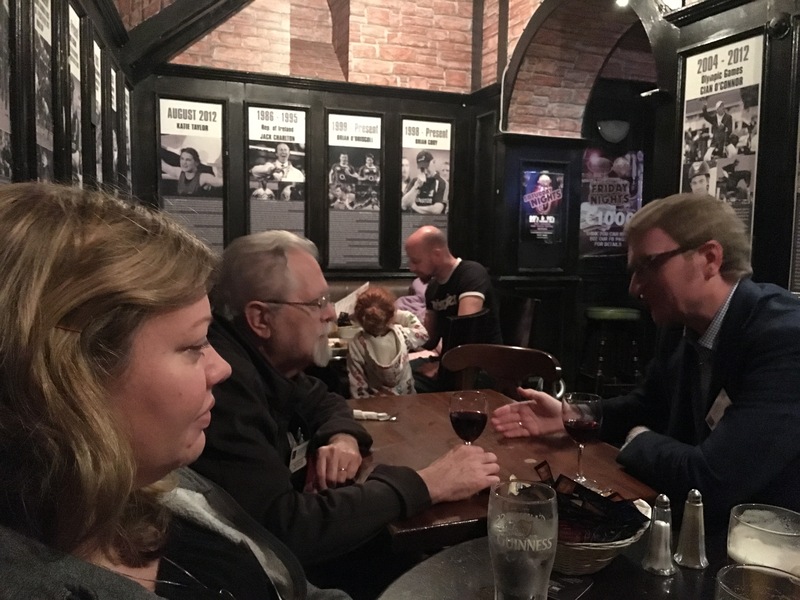 We got misplaced on the busy packed streets and went in a few circles, but eventually found Hodges Figgis – The Bookstore. Gordon was a happy kid and purchased a handful of books. 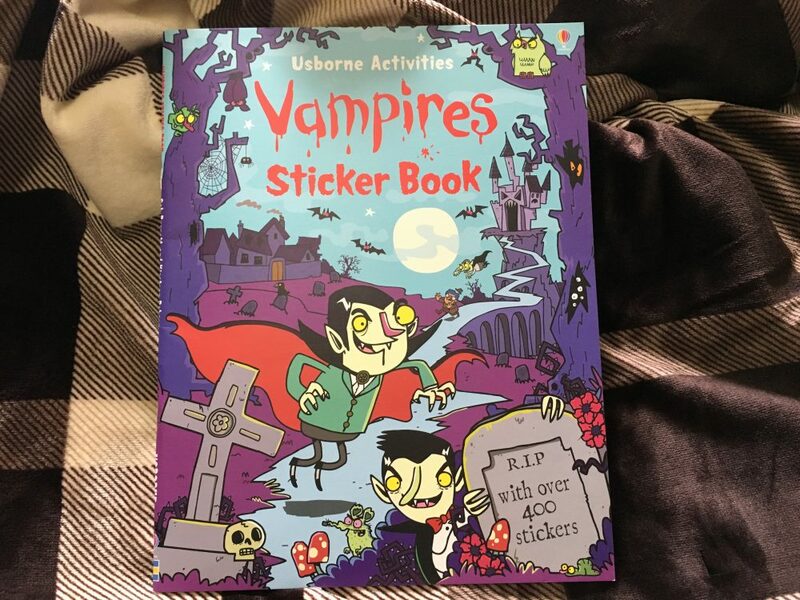 I followed his lead with one book and grabbed a vampire sticker book that looked fun. I had to restrain myself with this one and not use the stickers. Book shopping. It was a nice sized shop, that had floors of books and a lovely window display of Dracula editions. Picture: Erin Chapman. Due to my early flight, I had to leave the congress by 2:30 p.m. We caught another express bus by our hotel that took us straight to the airport. We found out that Friday afternoon in Dublin, is just as bad as Vancouver for traffic. It took us about an hour and half to get back to the airport and the bus was beyond packed. The driver actually stopped picking people up. Luckily we left early and caught it at the stop we did, otherwise we might not have made our flight. Between a long flight delay and the drive back from Bristol airport, we got back to the UK just before midnight. Tiddly Vampires. I bought this from Hotel Chocolat, which is apparently one of the most expensive chocolate shops in England. Picture: Erin Chapman. While on vacation, I was able to pick up some other vampire goodies in England that I would like to share with you. On October 23 we visited a Hotel Chocolat, a chocolate shop in Taunton. They offered some cute little Halloween selections of ghosts and vampires. 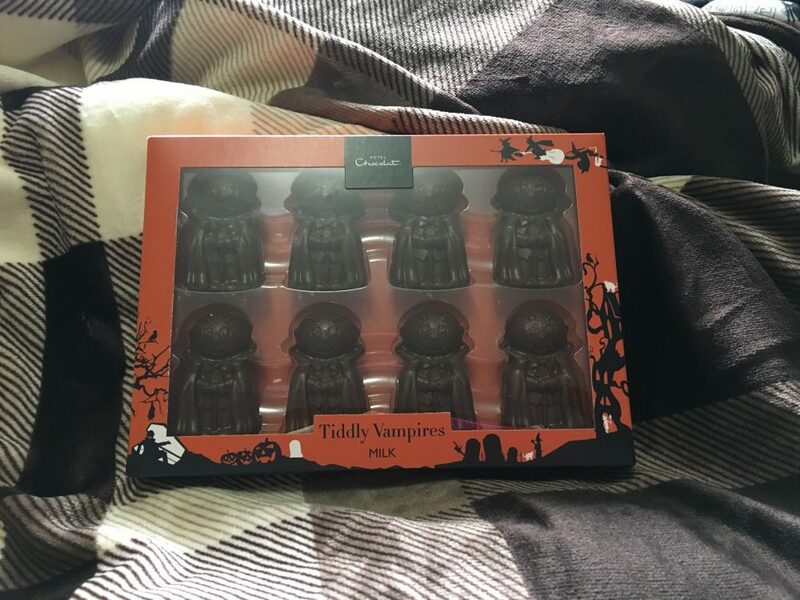 You could purchase the Tiddly Vampires in either milk or dark chocolate. I picked up two boxes of the milk chocolate. One was for me and one was for Anthony. Normally each December I send him a Christmas box full of goodies and this would fit nicely. On October 25 we were walking along the High Street in Exeter and came across a pop up Halloween shop called Halloween HQ. It was packed full of kids and mostly costumes, few decorations. 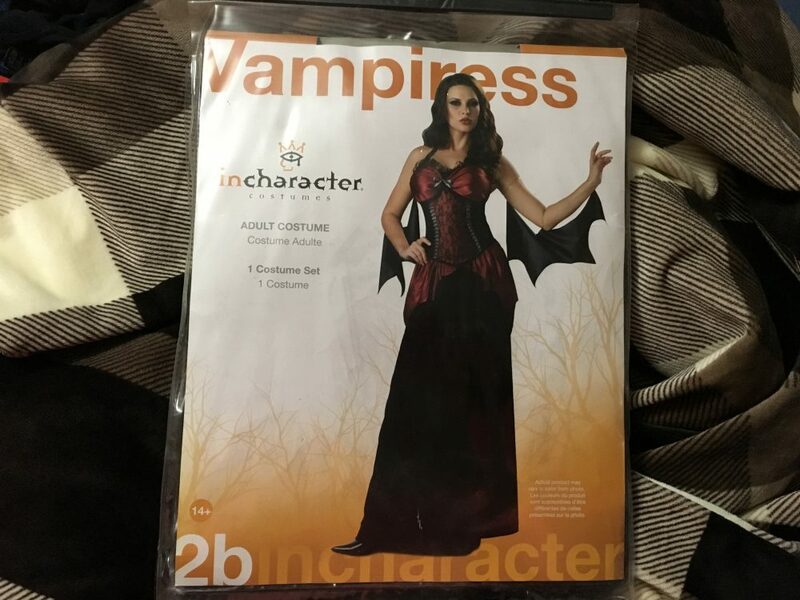 I found a vampire costume discounted to £15 from £45. This Halloween we would be on our flight back to Vancouver, but it was worth getting to save for next year. Halloween HQ. This shop made me realize how cheesy Halloween shops were in England compared to what we have in Canada. Picture: Erin Chapman. After the Halloween HQ shop, we ventured over to one of my favourite book shops, WH Smiths. It is the only one in Exeter and I always find something I like in there. 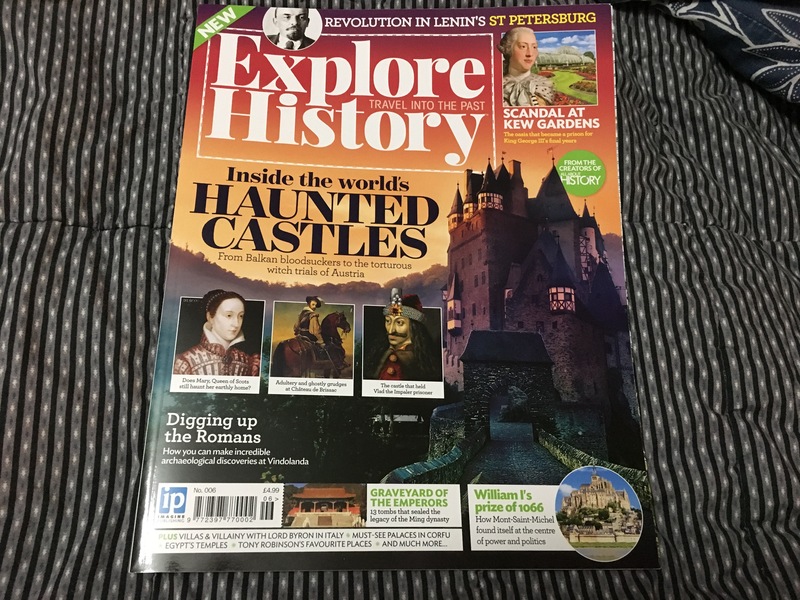 While my other half was browsing the model train magazines, I stumbled upon an interesting history magazine worth buying. WH Smiths purchase. Over the years I have purchased many local paranormal books at this shop, but never anything related to vampires. Picture: Erin Chapman. On October 27, we did one of my favourite things to do in the UK: we went for a long drive out to Dartmoor. Yes, that is the place where Sherlock Holmes faced the Hound of the Baskervilles. I used to own a locally published book called Dark and Dastardly Dartmoor written by Sally and Chips Barber that actually has a map with local paranormal places of interest in Dartmoor you can visit. I lost it a few years back and always check the national tourist centers for a new one. It just happened this year I found another copy and a cute little bat to go with it. I got two again, one for Anthony’s Christmas box. National Park Visitor Center. A little souvenir shop in the middle of nowhere at Haytor in Dartmoor. Picture: Erin Chapman. On October 27, I met ex-Highgate Vampire blogger and folklorist, Trystan Swale, for dinner at Frankie & Benny’s, Exeter. It worked out well as my other half met some of his old friends there too. Of all places, they wanted to meet at a place that did American food, which made me laugh. 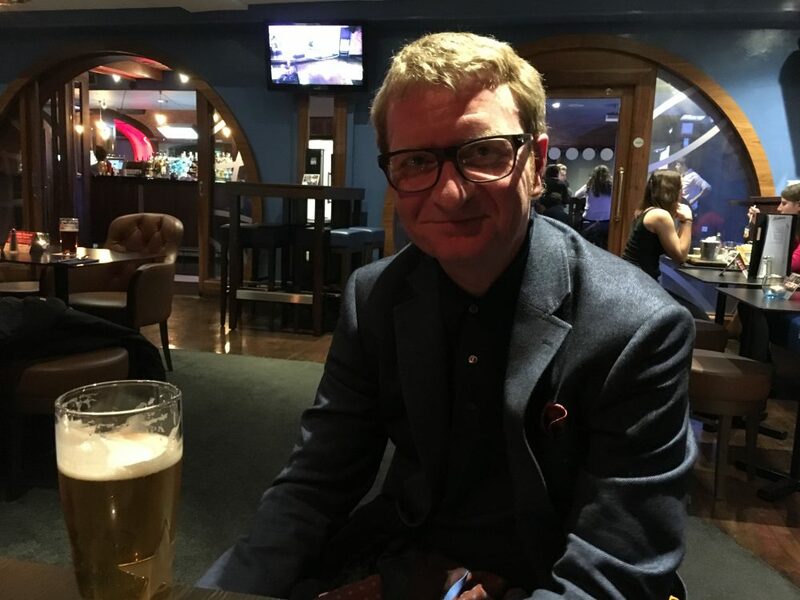 It was great to catch up with Trystan as I hadn’t seen him since my last trip across in 2015 when I interviewed him for Vamped. 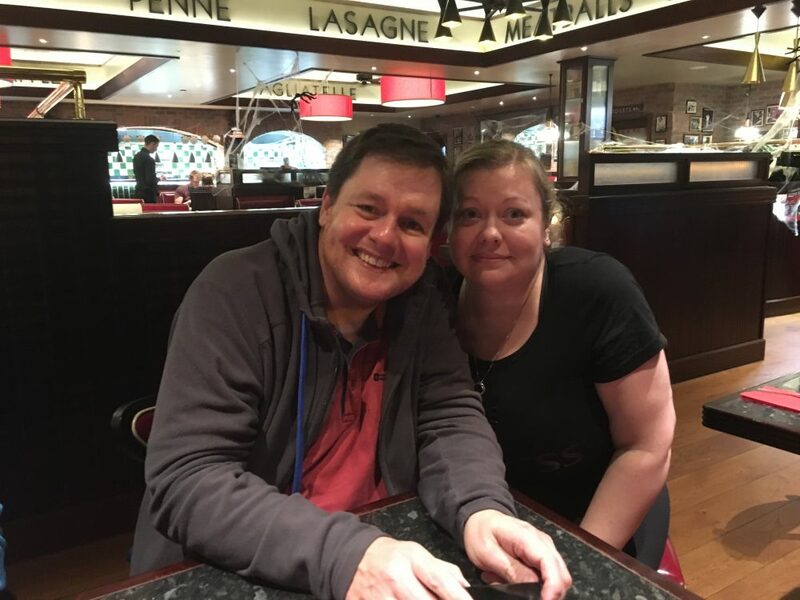 Meeting Trystan Swale at Frankie & Benny’s. For dinner conversation, the Highgate Vampire was on the menu. Picture: Erin Chapman. We flew back to Vancouver on October 31 and essentially missed Halloween, but the trip was well worth it. We will be heading back to England this year for Christmas so I am not sure how many vampire goodies I will find at the shops, but the British Library never lets me down. I plan on doing some Highgate Vampire research while I am there. Who knows what I will find. O’Briens Westmoreland Street: 3 Westmoreland Street, Dublin. http://www.obriens.ie/. 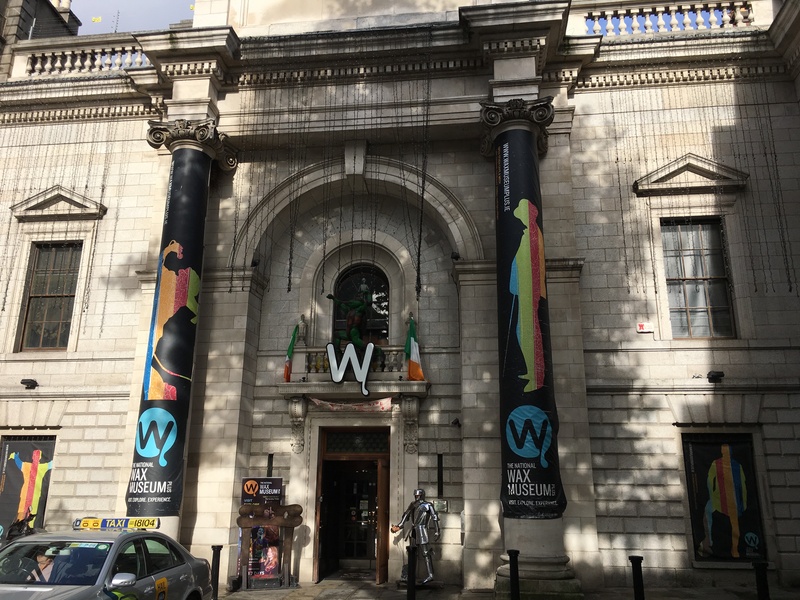 The National Wax Museum Plus: 22-25 Westmoreland Street, Dublin. http://www.waxmuseumplus.ie. Buskers Bar: 13-17 Fleet Street, Dublin. http://www.buskersbar.com. 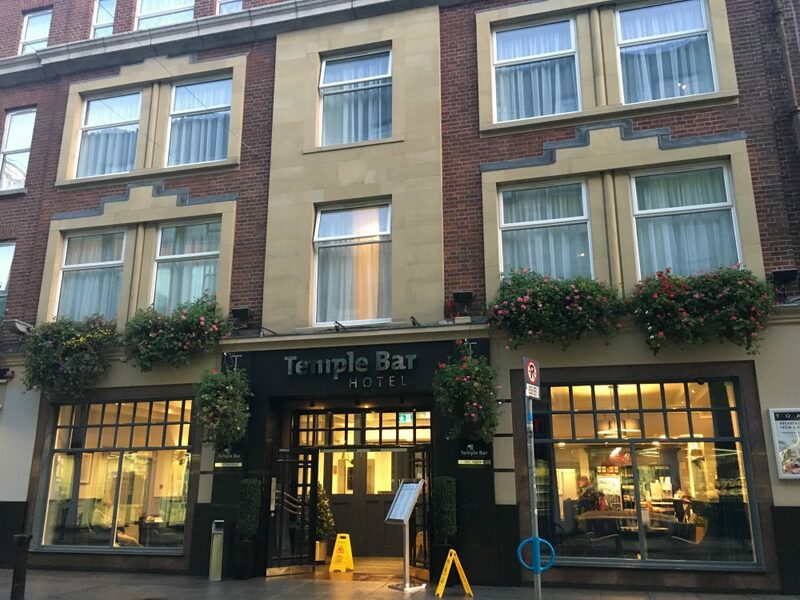 Temple Bar Hotel: 13-17 Fleet Street, Dublin. http://www.templebarhotel.com/. Trinity College Dublin: College Green, Dublin. https://www.tcd.ie. 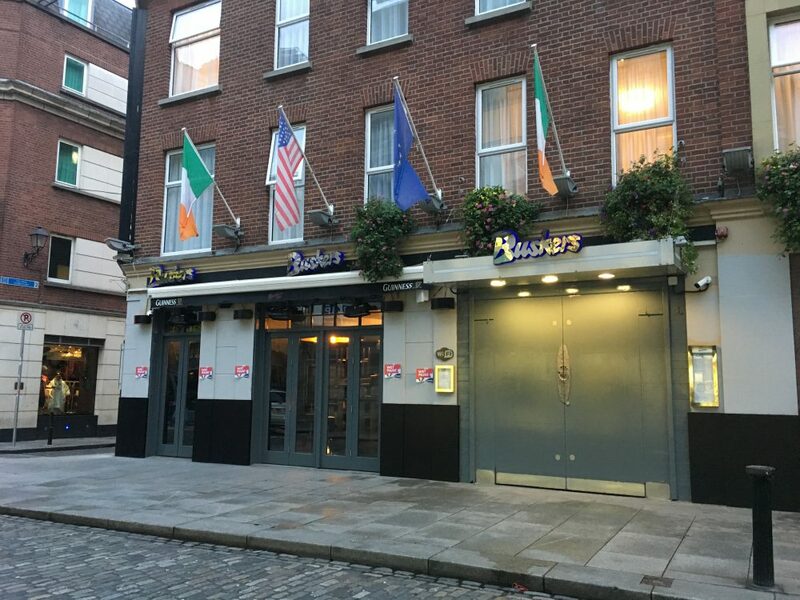 The Blarney Inn: 1-2 Nassau Street, Dublin. http://www.clubnassau.ie/blarney-inn/. Freshly Chopped: 8-9 Westmoreland Street, Dublin. 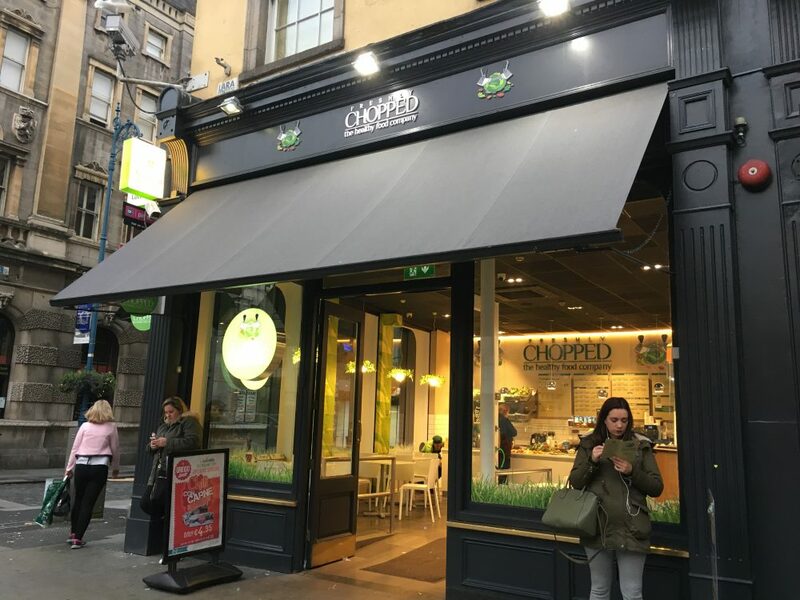 https://www.chopped.ie/locations-westmoreland-street.html. Hodges Figgis – The Bookstore: 56-58 Dawson Street, Dublin. https://www.waterstones.com/bookshops/hodges-figgis. Hotel Chocolat: 14 Fore Street, Taunton. http://www.hotelchocolat.com/uk/chocolate-shop?StoreID=161. Halloween HQ: 228 High Street, Exeter. http://www.thehalloweenhq.com. Note: this address is usually a Calendar UK location; Halloween HQ used it to host a pop up store in 2016. WHSmith The Guildhall Shop Centre, Exeter: 34-35, The Guildhall Shopping Centre, Exeter. https://www.whsmith.co.uk/pws/StoreFinder.ice?country=GB&storedetails=true&findStore=findStore&page=store3072. National Park Visitor Center, Haytor: Situated at the lower car park on the main road, the B3387 3 miles west of Bovey Tracey. http://www.dartmoor.gov.uk/visiting/vi-planningyourvisit/vi-infocentres/vi-haytorinfocentre. Frankie & Benny’s, Exeter: Alphington Road, Marsh Barton, Exeter. http://www.frankieandbennys.com/restaurant/frankie-bennys-exeter-0. the one we visited in Texas in 2015: Erin Chapman, “Trip to Texas: The Vampire Studies Symposium and More,” Vamped, April 9, 2016, accessed May 30, 2017, http://vamped.org/2016/04/09/trip-to-texas-the-vampire-studies-symposium-and-more/. 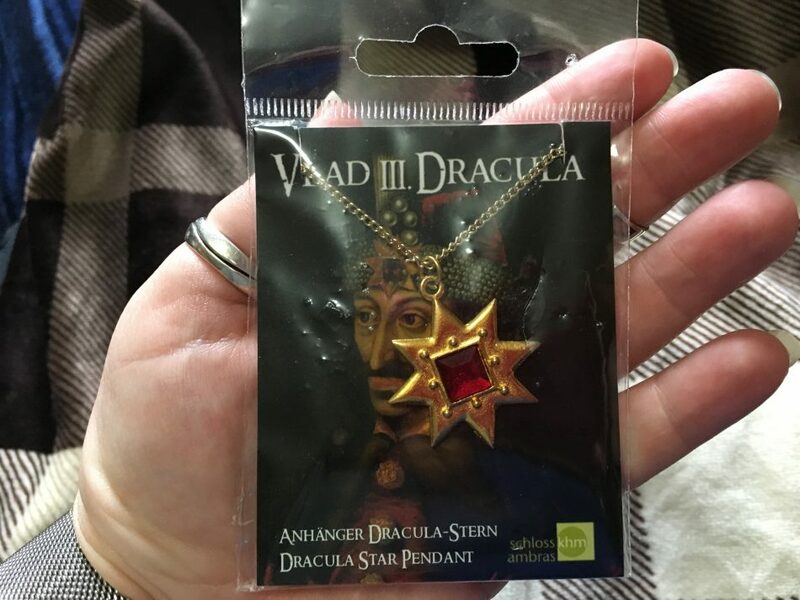 you can read about it here: Erin Chapman, “I Attended the Fourth World Dracula Congress. Here’s What I Thought About,” Vamped, May 26, 2017, accessed May 30, 2017, http://vamped.org/2017/05/26/i-attended-the-fourth-world-dracula-congress/.